PAOV — McGill University’s varsity athletics teams are called the Redmen. 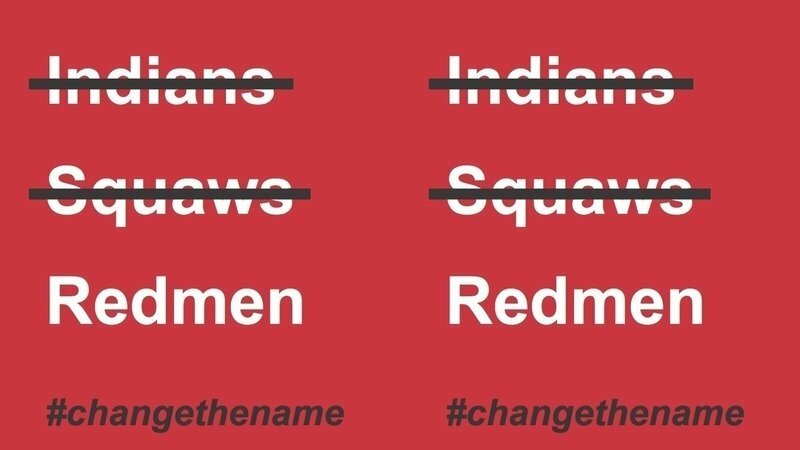 Thousands believe it’s time to stop using a name inherently rooted in racialized and stereotypical views of Indigenous people and are calling for an immediate change of the Redmen name. If you agree, add your name today. Sign now with a click In 2016 a Task Force created by McGill itself on Indigenous Studies and Indigenous Education found there were “past usages of the name 'Indians' to refer to men’s teams, and 'Squaws' or 'Super Squaws' to refer to women’s athletics teams, as well as phrases such as ‘Indians on the warpath’ and ‘Redman scalped’ that appeared in McGill media”. Even after an official report of said behavior, McGill continues to use the Redmen name, being fully aware of its connotations, historical outrageous, offensive use, and incredibly negative sociological and emotional effects on Indigenous students. It is time for McGill to take action. We must address the legitimate historic reality of the Redmen name when McGill won’t. We must stop this detrimental and harmful to the experiences of Indigenous students at McGill name.